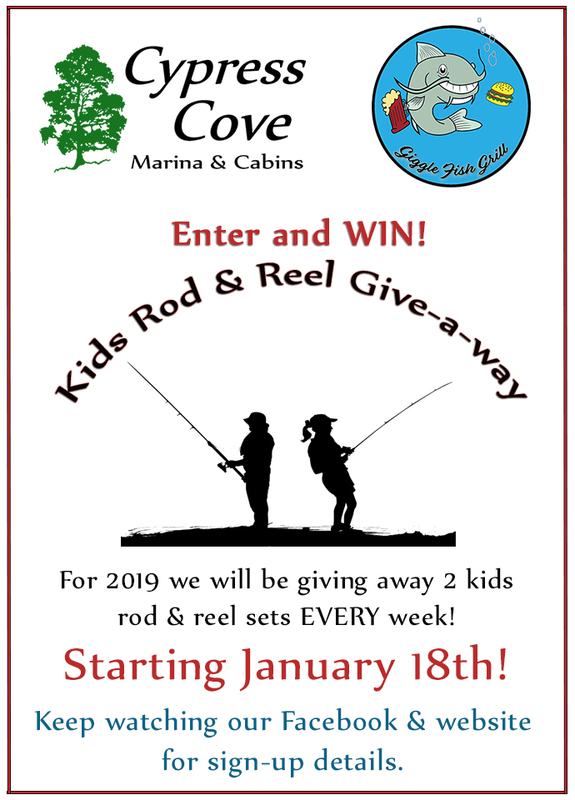 For the Next 50 weeks Cypress Cove Marina & Cabins will be picking 2 names at random to win a Kids Rod & Reel Fishing Set. *Rods & Reels have been donated by some of the best fishermen and fisherwomen on Ft. Gibson Lake, as well as our corporate contributors! "The Cove" hopes to stimulate the sport of fishing in today's youth. Fishing as a sport brings great benefits to not only your health but to your mental well-being as well. "The Cove" is one of the most sought after fishing spots on Ft. Gibson Lake due to its natural sheltered location and breakwater. Help us help today's youth by getting them "hooked" on fishing!